I purchased this RRA Wad gun new in 2003. 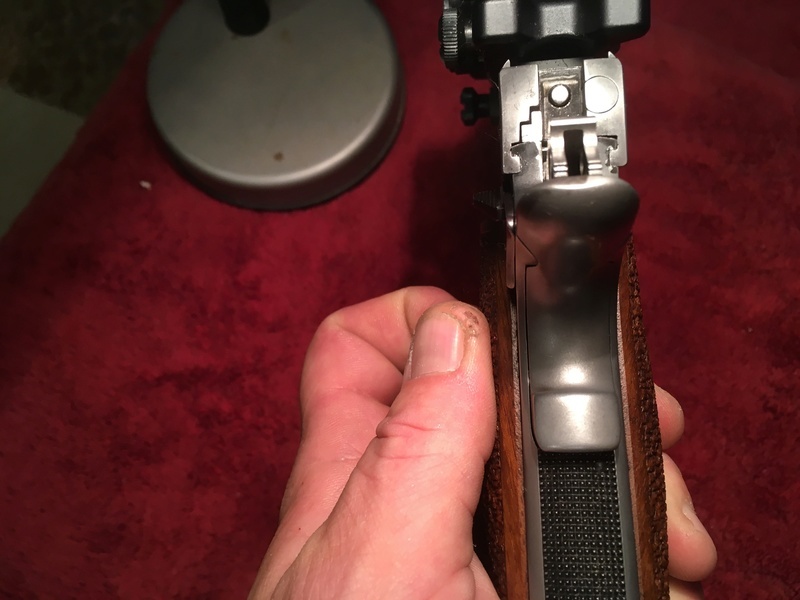 The finish is worn and there are scratch marks underneath one of the grips panels when I foolishly tried to remove a grip screw bushing that was loctited in place. 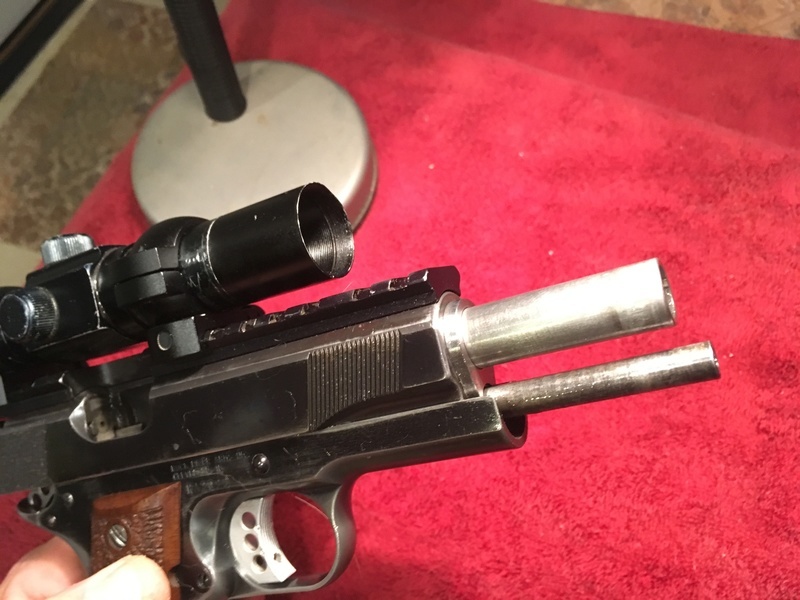 Other than those cosmetic issues the gun runs 100% and is a 2 to 2.5 inch gun at 50 yards. 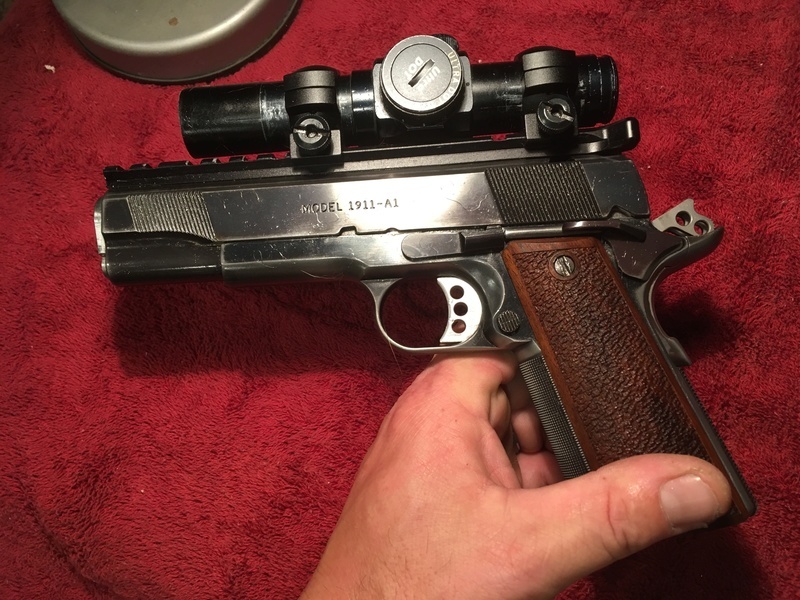 Full disclosure here: the Frame to slide fit was redone by myself via the frame rail peening method, Clark welded up the lower barrel lugs and I refit the Barrel and bushing. 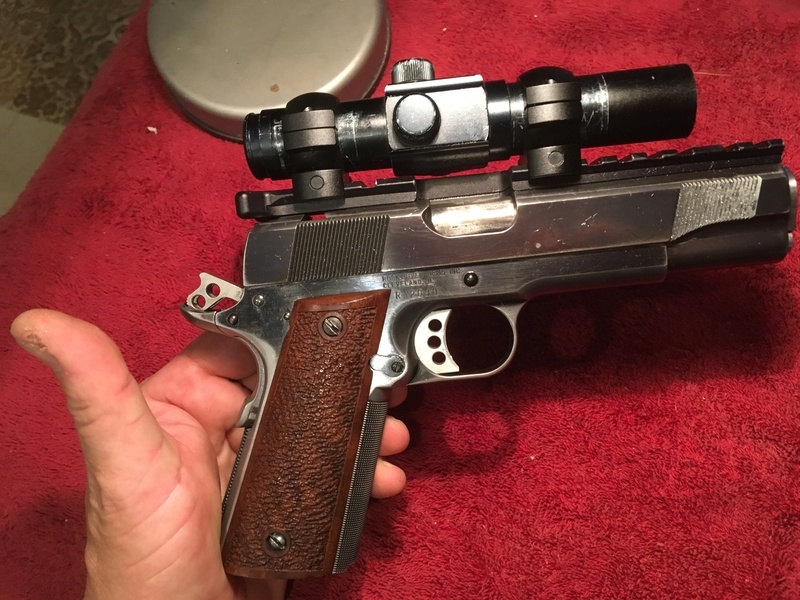 All this work (except the grip screw bushing ) was performed when I was working with a Gunsmith in Mesa AZ. Ultradot, rings, and 2 metalform mags included. I have not shot this pistol in 4 years. Estimated round count is 25K of all lead. Price is $950 shipped to your FFL in the lower 48.